As a pastor-preacher you already are a verbal wordsmith, but you may have the desire––and opportunity––to expand your ministry through writing. 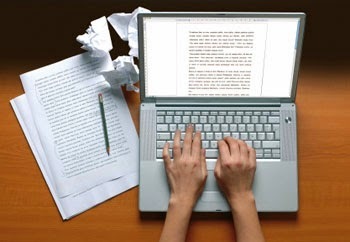 If so, consider these three tips for writing. “How many points should a good sermon have?” My preaching professor replied, “Young gentleman, every good sermon ought to have at least one.” That response also applies to writing. Thus, begin by determining what you want to accomplish with the subject you have selected and the audience to whom you are writing. Is your intent to inform, inspire, or just to impress? In verbal communication your tone, volume, voice inflection, and facial expression help the hearer interpret what you are saying. None of those things are present in written communication. What you say rests primarily on your word selection, sentence structure, grammar, and imagery. Making the right choices is essential. When you think you have finished writing, remember these three actions. Retreat. Walk away and let it simmer, like stew left on the stove. Review. When you come back to it, examine it critically. Did you speak to the topic? Did you make the point? Rewrite. The best writers are even better “rewriters.” Consider how you could say it better, more concisely, and with greater clarity? As a pastor, you may have a ready-made audience for your column, blog, or op-ed piece. Give it your best and your ready-made audience will become an eager audience too. We would like to thank Ron Brown for providing this guest blog. You can learn more about Ron and others who are available to help your church by searching the 4:12 Network.